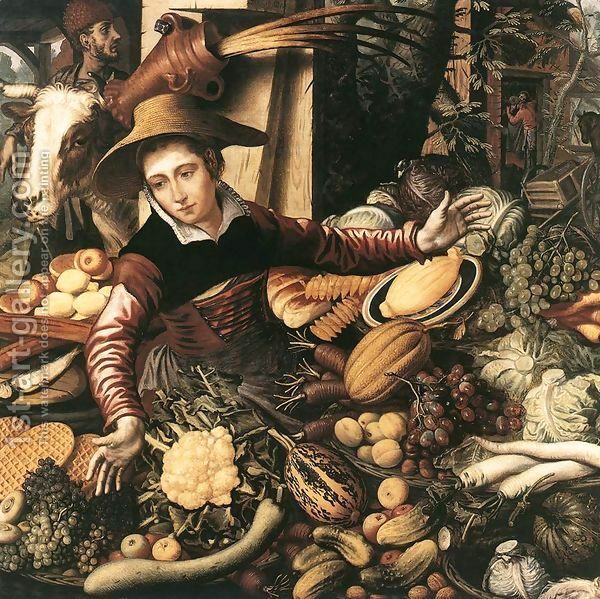 The first meal came and it was labeled “Strict Vegetarian“! Unfortunately, for the trip over, I didn’t have my camera handy…but it contained a salad, bread, and fruits. I was happy with this! Later I was served a warm meal that contained rice, a pesto like sauce with tofu bites on the sides. This was yummy! On the way over, I sat next to a sweet older Norwegian woman who kept eyeing my meal and commenting on how fresh it looked! When she got her chicken dish…Hmm, well, not so much! She only ate a few bites. I cleaned my “strict vegetarian” meal right up! On the home trip, KLM / Delta, if you’re reading this, I want to say THANK YOU for putting me next to a vegetarian who not only lives in the same city as I do, but in my old neighborhood, which is not that far away from where I live now! I know this was probably not planned, but how cool was that! He was the nicest guy ever! (I plan to meet him & his wife for a drink one evening!) We had a long chat about being veggies & I got to probe about how he made the decision to go vegetarian. 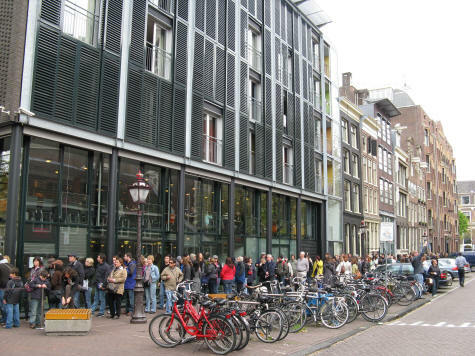 Trust me, if you go to Amsterdam, the Anne Frank House is one museum that you don’t want to miss! I waited in line for about 45 minutes, but passed the time chatting with a Canadian mother & her son. Seriously, I would have waited an hour and a half or two to visit this museum! I loved the whole layout of the museum, the historical information, & artifacts, along with the screens in different rooms, that gave “live” accounts from the people involved – it was just perfect! Walking up the old original stairs to the small apartment where the families lived & hid, plus standing in Anne Frank’s bedroom gave me the chills! A couple of glitches happened upon my arrival: First, I had left my camera in the locker at the airport. If I went to reopen it, I’d have to pay another 7 euros to open it & lock it back up. Also found that I couldn’t use my credit card to purchase the train ticket into Amsterdam, because U.S. credit cards do not have the “CHIP” on them that European credit cards do. (The Anne Frank House did take my credit card. DO remember your pin number when traveling!) I’d brought my “travel credit card” with me on this day, but it was basically useless & because I couldn’t recall the pin number, plus they still wouldn’t take it without “le chip”! Luckily, I had enough cash to go to the bank & exchange for Euros. Before heading back to the airport, I ventured into a pizzaria and ordered a veggie pizza with no cheese! It turned out fabulously and tasted amazingly yummy! It was made with a thin crust with tomato paste on top & loaded with fresh veggies. Shamelessly, I ate the whole pizza…alone! I was hungry after the walk and not sure when I’d eat again. Again, I wished I’d had my camera along, so I could have taken a photo of the pizza before I scarfed it down! 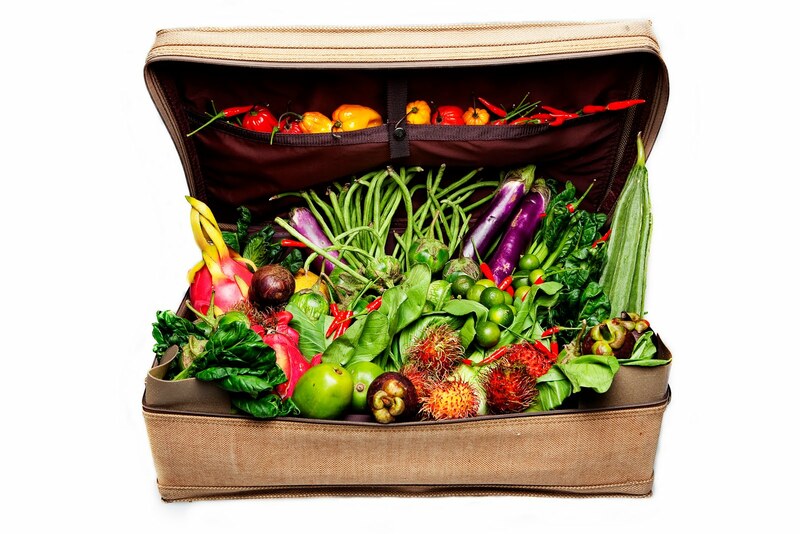 All right, it’s back to bed…over & out from this jet lagged plant-strong vegan blogger! Reblogged this on Plant Based Diet Solutions.